********Giveaway! (closed)*******Thanks for commenting folks! If you are listed in the first ten comments I will email you with further details on claiming your prize. Remember, you must have answered the question and left your email address / contact info to win. 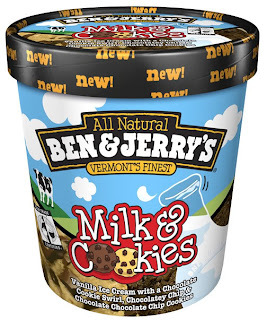 My super-fly friends at Ben and Jerry's just gave me more free pint coupons to give TEN lucky readers the chance to try their newest flavor, Milk and Cookies (or any of your other your fave flavs)! Milk and Cookies is made with Fair Trade certified vanilla ice cream, swirled with chocolate chip & chocolate x 2 (as in double chocolate) chip cookie pieces! 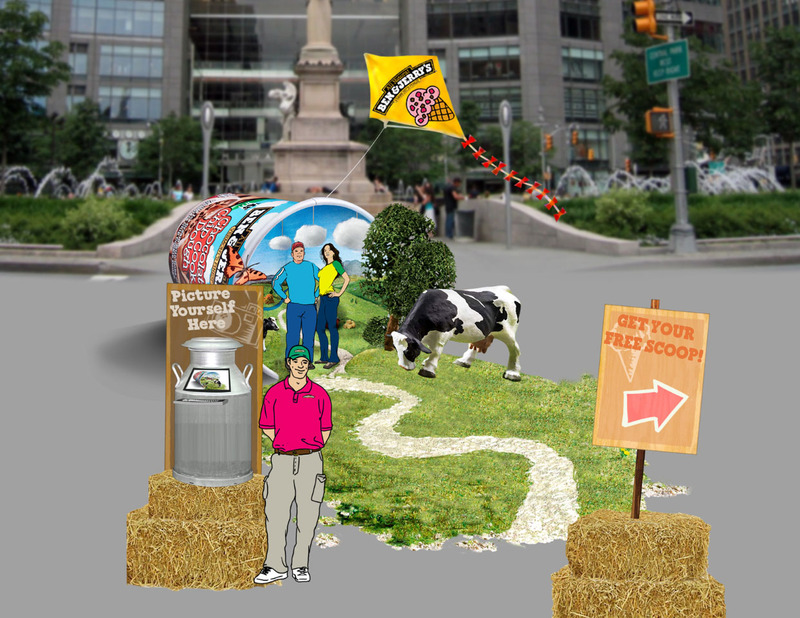 For more information on Ben & Jerry’s or to find your local Scoop Shop, visit www.benjerry.com. *Don't forget to leave an email address so I can contact you if you are one of the top 10! And for those who won last time, please sit this one out and give another reader a shot - I promise there will be many more giveaways to enter in the future! my favorite ice cream topping is strawberries! My fave Ben and Jerry's ice cream flavor is Cherry Garcia and my favorite topping is whipped cream (the real kind) and a cherry! My favorite topping is hot fudge. Thanks. I loooove walnuts and caramel sauce! I love chocolate syrup on my ice cream! My favorite ice cream topping is whip cream! NUTS! That's my favorite topping. LOL! Ooh I LOVE milk & cookies in general. Would love to try it! :) Nice meeting you today, btw. Hope to see you at more blogger events. hmm carmel would have to be my favorite !!! My favorite topping for ice cream is hot fudge. Has to be hot fudge. I love a peanut butter sauce on my icecream. Marshmallow sauce, it's my favorite! Favorite ice cream topping--butterscotch sauce! Thanks! I like chocolate and peanuts as toppings. My favorite is butterfinger topping. Who doesn't love Ben and Jerry's? Only those who never tried it!